“Around 60 percent of all the plastics we’ve ever made are on the planet somewhere,” said Roland Geyer, an industrial ecologist at the University of California Santa Barbara during a recent interview with PBS. Luckily, a close alternative that does not negatively impact the planet or its inhabitants has been catching the eye of environmentalists and researchers alike. Biodegradable polymers decompose after their designated purpose has been fulfilled because of microorganisms and the presence of an enzyme. According to a new report from BCC Research, the market for this exciting new innovation is anticipated to reach a mass of 984.8 kilotons by 2022, at a compound annual growth rate (CAGR) of 15.2%. 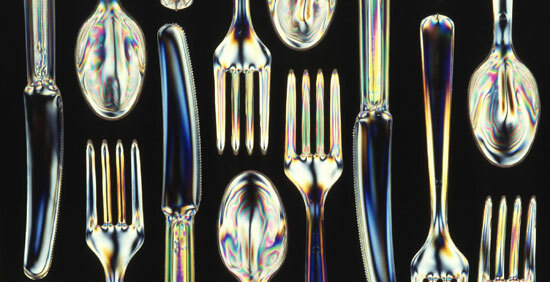 There are various usages for these biodegradable polymers beyond their ability to “disappear.” For example, nanocomposites “can be served as carriers of active compounds which are useful in extending (food) product shelf life while maintaining their nutritional and sensory qualities” according to an article from Science Trends. Moreover, these vehicles are gaining the properties to add missing nutrients to food products through the packaging. In addition to packaging, biodegradable polymers are expected to have a significant influence on several other industries that specialize in fibers and fabrics, agriculture, medical, electrical and electronics, and automotive. Out of all of these, healthcare will have the largest CAGR between 2016 and 2022 at 19.4%. Worldwide, the emergence of these environmentally friendly materials is reshaping the way people think about plastic. However, there are still restraints that are facing the market, such as high prices and the lack of infrastructure for effective compositing. Also, considering that biodegradable polymers have only been commercially available for 20 years, there are still many opportunities to develop the material. On top of all of these issues is the fundamental question researchers are asking: What exactly defines biodegradable polymers? Of course, the broad definition given above holds truth, but the details are still up for debate. Some argue that bio-based materials, which are characterized as having a single-use short life, being disposable and are found in products with controlled lifetimes, serve as the exemplar model for the industry. Meanwhile, others have insisted that durable materials are a better definition by being made of soy-based polyurethanes which can be used for automotive and farm vehicles and bio-fiber composites. Though there are still many similar inquiries that need answers, there is no doubt that biodegradable polymers will continue to develop in a way that will improve the well-being of our planet and our lives. For the full report from BCC Research, follow this link: Biodegradable Polymers: Global Markets and Technologies Through 2022.